Here are some before and after shots of our graffiti clean up at Mic Mac Park over the weekend. A big thank you to Windsor Police, Crime Stoppers, the University of Windsor and Odette MBA class, Julian Franch for organizing the event, the entire Our West End team, United Way Windsor-Essex and lastly, the resident volunteers, both young and old, who helped make it happen. We are a great COMMUNITY! Olde Sandwich Towne Farmers' Market Up and Running! If you haven't already, I would strongly encourage you to go check out the Olde Sandwich Towne's Farmers' Market on Mill and Sandwich, right behind the Barrell House. It is open every Friday, Saturday and Sunday from 9am to 3pm. There is also live music every Saturday from 11am to 1pm. There will be more produce from local farmers coming in the near future. There are spots open for interested vendors. Please call Bill Voakes at 519-990-1055 if you are interested. Support Bowlero Bowling in the West-End! I received the following email from a west-end resident asking me to post this to the blog. Did you know West Windsor has the largest 10 Pin Bowling Centre in Canada on Tecumseh Rd West?! just East of Crawford Ave is OPEN!! I enjoyed a great night of bowling with the little guy in my family last week. I spoke with Manager Kevin, who says he is happy to host all ages bowling for west end families, youth, seniors and groups at Bowlero. Rock and Bowl or Tournament style bowling with great food package options. A great family and friends activity. The bowling rates are reasonable and the food is great! 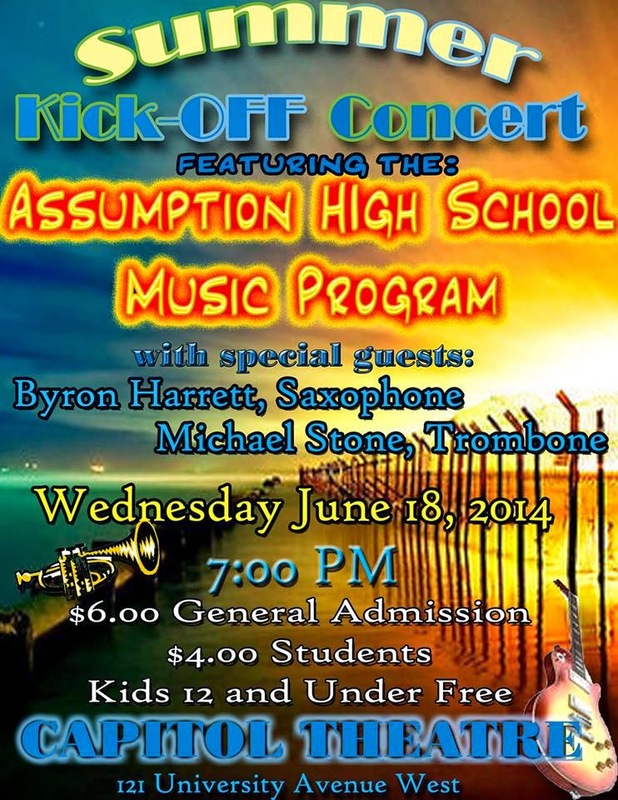 This was sent to me from a west-end resident who is supporting the Assumption High School Music Program. Cuddles Clothing for Kids, currently operating out of St. Mark's Church, is looking for free alternate space since the St. Mark's building is now up for sale. Please see their kijiji ad below that was forwarded to me from a west-end resident. 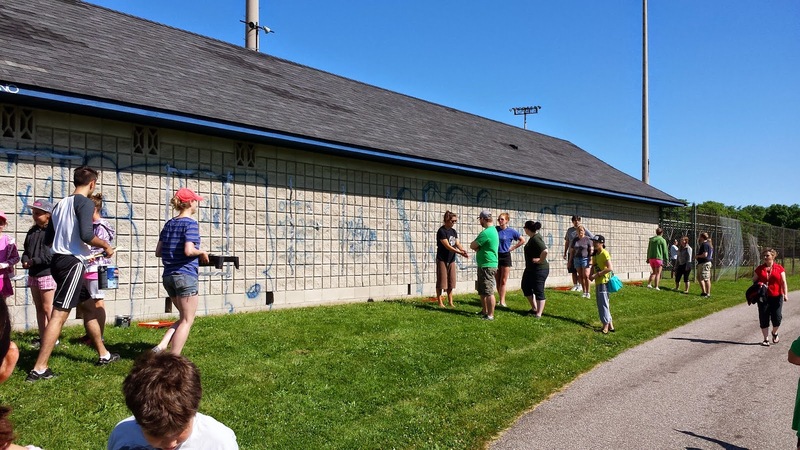 Graffiti Clean Up at Mic Mac Park! 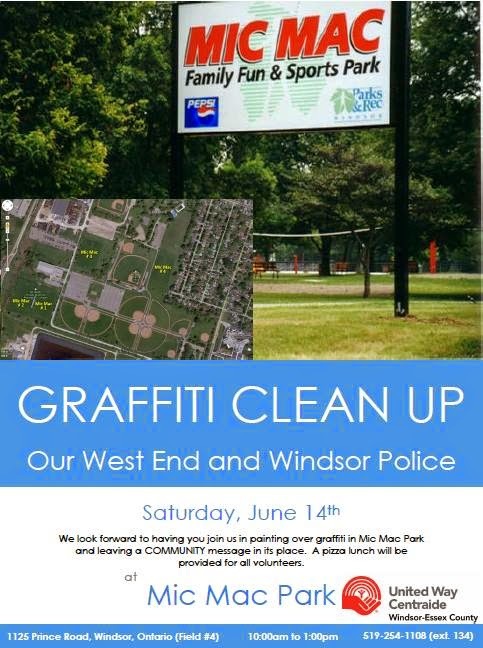 Join us and Windsor Police on June 14th for a graffiti clean up at Mic Mac Park. A big thanks to Julian Franch, the Our West End Community Analyst and Facilitator, for organizing this event. See the flyer below for more details. Please see the link below from windsorite.ca. College Ave construction is complete and open for regular use. Charity Yard Sale for West-End Groups! Please see below an email from Rita Higgins, founder of the West End Crawlers and great west-end advocate and volunteer. CHARITY YARD SALE! SATURDAY JUNE 7TH, 8AM-NOON IN THE LOT, TWO HOUSES FROM 851 CURRY TELL YOUR FRIENDS!! PROCEEDS GO TO: THE BRIDGEVIEW COMMUNITY OUTREACH PROGRAM INC., BLOOMFIELD HOUSE, THE EMANCIPATION DAY COMMITTEE OF WINDOR, AND HAVEN CAT RESCUE. AS USUAL, WE’LL ALSO BE ACCEPTING NON-PERISHABLE FOOD AND MONETARY DONATIONS TO SUPPORT WEST END FOOD BANKS. LOTS OF STUFF AS WELL AS RAFFLES, 50/50 DRAW, AND FREE COFFEE TOO! TICKET HOLDERS NEED NOT BE PRESENT TO WIN AT DRAW TIME, 10:00AM, SUNDAY JUNE 8TH. ONE OF THE ITEMS BEING RAFFLED IS A BRAND NEW, STILL IN THE BOX, PRO-FORM XP 600 ELIPTICAL TRAINER! (DRAW DATE FOR THE ELIPTICAL IS NOON, AUGUST 4TH. TICKET HOLDER NEED NOT BE PRESENT TO WIN) JOIN US IN SUPPORT OF THESE GREAT ORGANIZATIONS! I received the following from TJ Travis, founder of the Bloomfield House. Please stop by if you can and spread the word. Could you please share our event on the blog. -We need as many of you to come out as possible because The Bloomfield House needs a new roof and this event is a step in the right direction. On Saturday, June 7th, The 519 Band is shooting a music video at Buddies Eatery & Tap (located at 3206 Sandwich Street) and they kindly offered to turn this gig into a fundraiser for The Bloomfield House. Big Up's to them!!! !